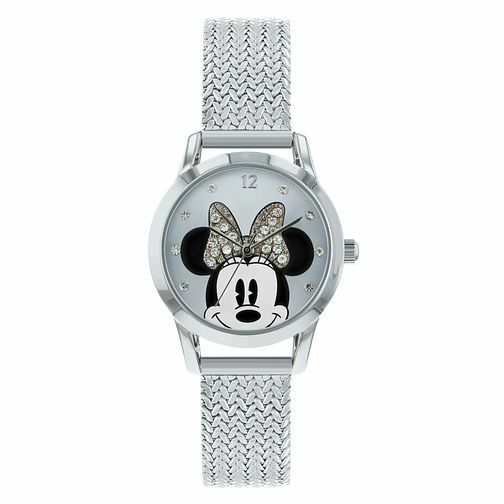 This gorgeous Disney Minnie Mouse watch features a beautiful silver mesh strap and a dial featuring one of the most iconic characters in Disney history, Minnie Mouse. Minnie's famous bow is set with glistening crystals and the hour markers are set with more crystals. Disney Minnie Mouse Silver Mesh Strap Watch is rated 5.0 out of 5 by 1.